Our business is local, owned and operated by a reputable family, and offers carpet cleaning San Marino residents can trust. These are three reasons why you should call us but they are just the beginning. Our results are what really impress! Your carpets will look better than they ever did and you will love dealing with us. We use a truck-mount carpet cleaner to get your carpets clean and this system is quite powerful. Dirt and other debris are no match for the deep extraction and vacuum intensity of this equipment. High temperature cleaning sanitizes and powerful suction removes soap residue and water. Cleaned carpet feels almost dry, shortening the downtime before the area can be used. As a local business, we exercise extra care when in your home. Chain businesses do not care if they scratch your walls or nick your baseboards because you will never see their workers again. We live in your community, so you are likely to run into us. Therefore, we want you to be happy with our services. We take preventative measures so your home will not be damaged during carpet cleaning. If your dog or cat loves to spend time on the carpet, it may have had a few accidents in the same location. Our stain removal methods treat both the spot and the scent. We identify the cause of the stain and use methods that will most effectively remove it. Your pet will not gravitate toward the area so your carpets will remain accident-free. Being family owned and operated means we place a high value on quality. Our name speaks for our work and strive to make a positive association. 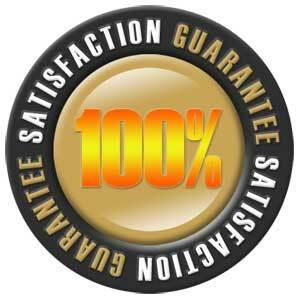 If you want the best carpet cleaning from a local company that takes pride in its work, then you want to use us. Once you do, there will be no other choice!